"My mission is and always will be to provide people with unique and delicious seasonings that help them create amazing meals everyday in kitchens all around the world." Chris Wallace began making freshly ground spice blends back in 2012. Through trial and error, he perfected his art, bringing fresh herbs and spices together with just a touch of sea salt. 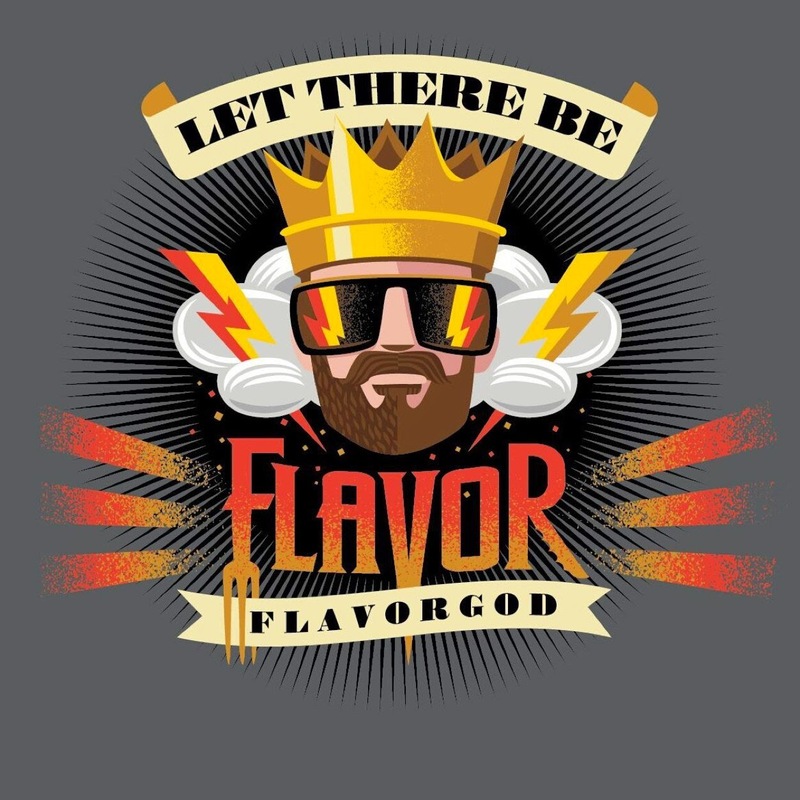 He decided to call his brand Flavor God and put a cartoon version of himself on the label (with crown and lightning bolts of course) along with the tagline, "Let there be flavor." Chris was just one guy, and didn't have a huge marketing budget, so he turned to social media, particularly Instagram (Instagram.com/flavorgod), to get the word out about his Paleo, Gluten Free, Low Salt, Vegan spices. His posts included pictures of Chris grinding spices, satisfied customers, and seriously delicious looking recipes from super fans like 5280 Meat and The Feisty Kitchen. In about a year and half he developed a following of about 1.4 million fans on Instagram and grew his team to about a dozen employees that grind spices fresh to order and ship worldwide. I first saw Flavor God spices on Instagram myself and eventually decided to order some. The spices arrived in about two days and as soon as I opened them, I realized what all the fuss was about. Most spices that you find in the supermarket have been sitting for quite some time. Like any other food, they lose potency and flavor as time goes on. 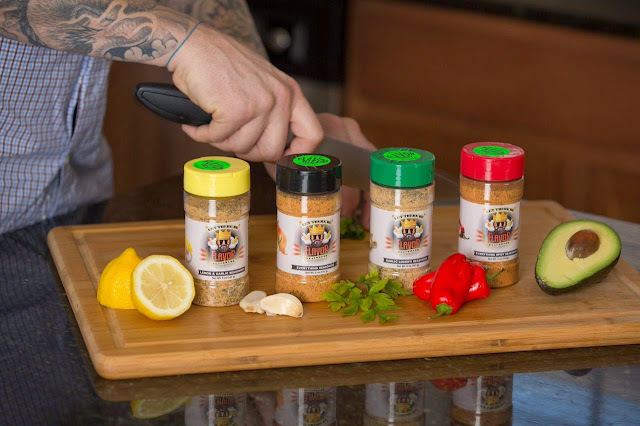 By grinding the spices as soon as customers order and shipping them super fast, Flavor God provides a product that blows away the competition. With Flavor God, all the fragrant essential oils contained in the herbs and spices arrive intact and ready to make your food taste ridiculously good. The salt content is also minimal, so you can really go to town seasoning your food without making it overly salty. I decided to factor this into my recipe, creating little piles of spice, from all four Flavor God varieties, making each bite a new experience. I hope you enjoy and recommend that you pick up some Flavor God spices right away! 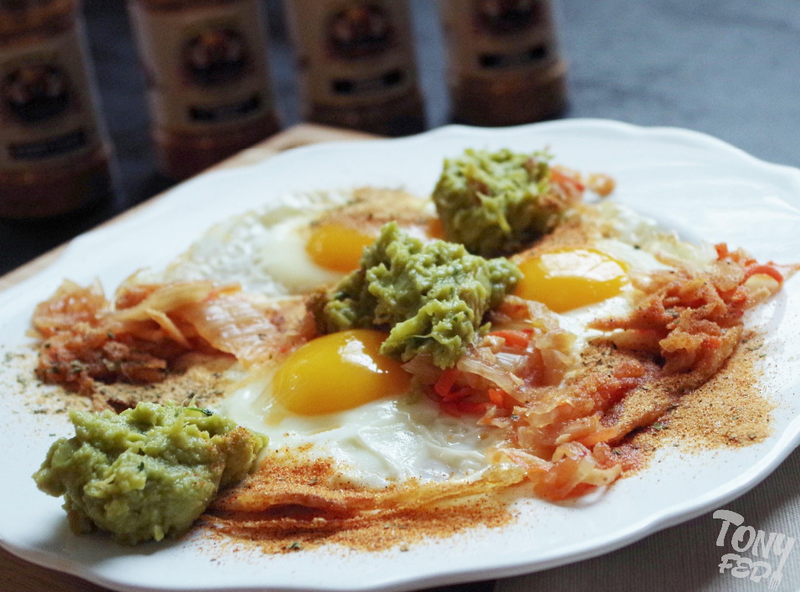 This recipe combines pastured eggs, with rich orange yolks, spicy kimchi, fresh guacamole, and generous dashes of Flavor God seasonings. 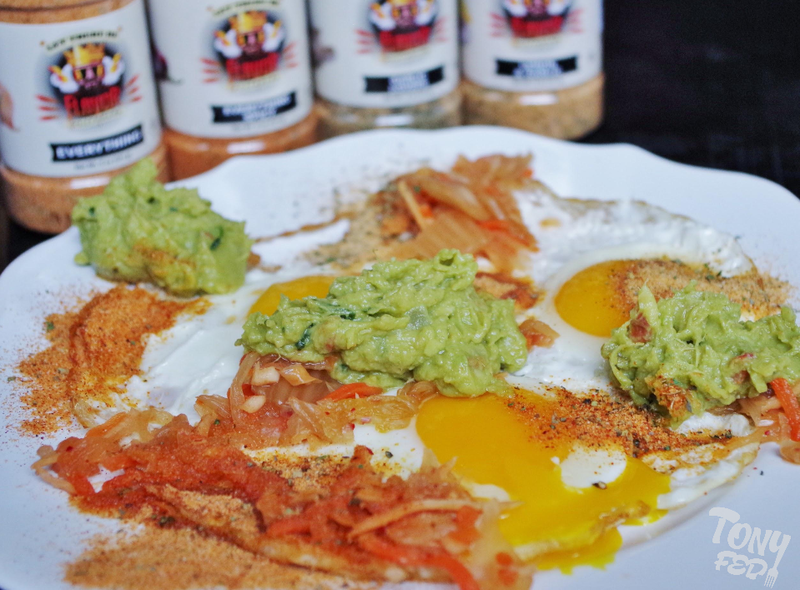 The eggs are fried till the edges become crispy, providing textural contrast with the other ingredients. Heat the ghee in a skillet over medium high heat. Just before the ghee starts to smoke, add the pastured eggs. Move the skillet around to make sure the melted ghee gets to every edge of the eggs. Turn the heat off and allow the eggs to sit in the hot ghee until the whites are set but the yolks are still runny (~5min). The eggs should have formed a nice brown crust by the time you remove them, so they should be able to be transferred to a plate in one piece. Add kimchi and guacamole over the top and season generously with Flavor God spices.